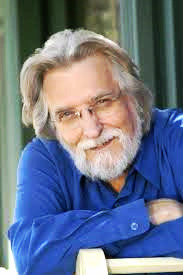 In addition to myself, some of Anthony's esteemed current and past clients include, Neale Donald Walsch, Gregg Braden, Dr. Margret Paul, Jimmy Twyman, Deanna Minich, PhD, Bill Harris and Rainbeau Mars to name a few. Now you have the opportunity to work with him too. His deeply soul-filled one-on-one sessions usually start at $250.00 an hour, and are worth every cent! I serve many of my clients, such as Cyndi Dale, as a creative business strategist/coach, project manager, art/creative director, consultant and communications/marketing specialist. Whether you are an author, speaker, healing arts professional, small business owner, or just beginning on your journey, personally or professionally, my role is to bring an objective and experienced mindset to our session(s). I will advise, guide, execute and assist you in any way I can—by helping you solve existing personal and business challenges, and by helping you learn to work smarter not harder—ultimately leveraging all current and future opportunities available to you. * Session(s) must be scheduled within 30 days.